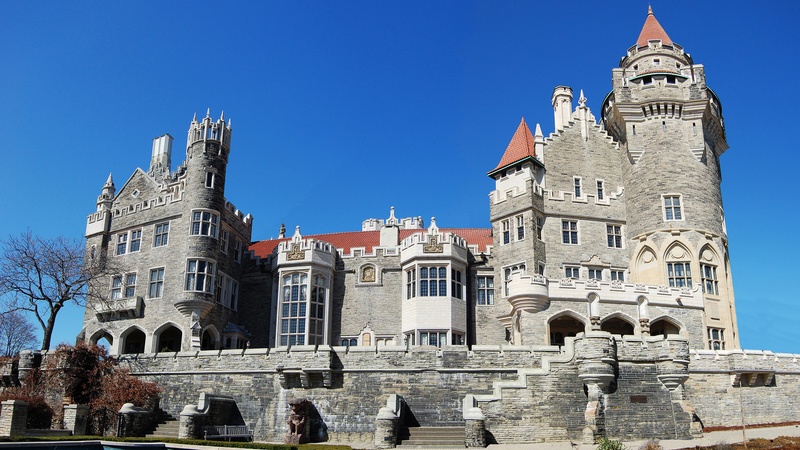 Casa Loma is a turn-of-the-century mansion worth $3 million, sitting beside a lake in Toronto. Although it's no longer a home, visitors can still walk through it as a museum. With ceilings extending 60 feet upwards, this is the focus of elegance at Casa Loma. Canada's British influence is clear here - Sir Henry Mill Pellatt, owner of the mansion, hoped to welcome the Royal Family here as guests. 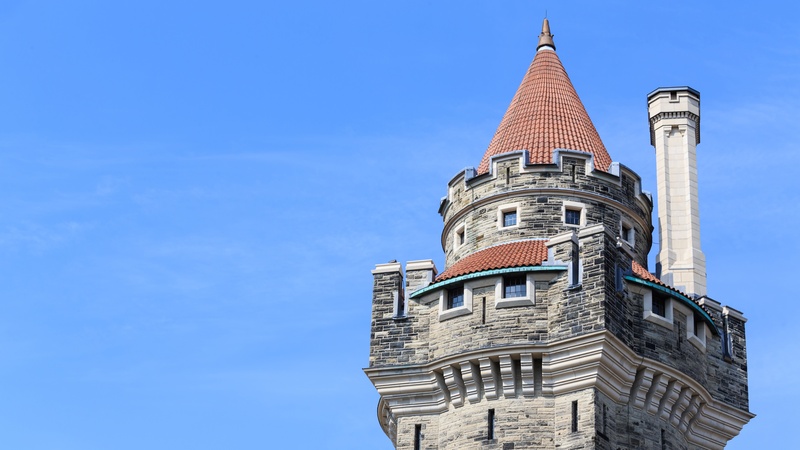 It may not be the CN Tower, but climb the stairs to the top of Casa Loma's tower to get a view of downtown Toronto. 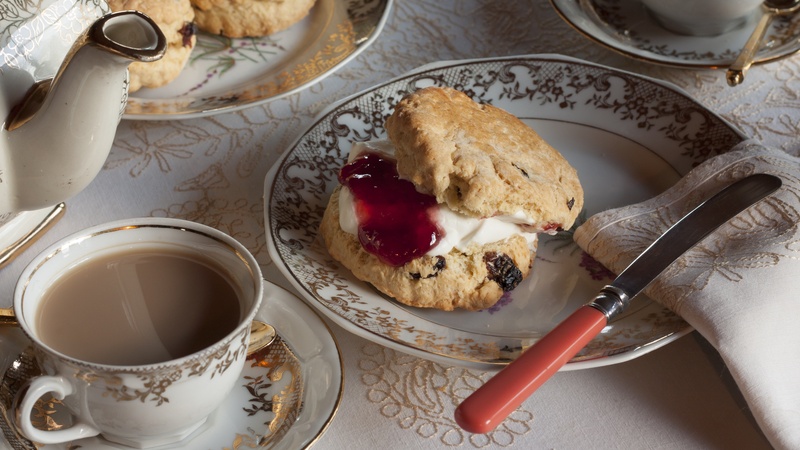 Available only every so often, you can enjoy a British high tea in Casa Loma's conservatory and ballroom, and enjoy this classic British tradition! 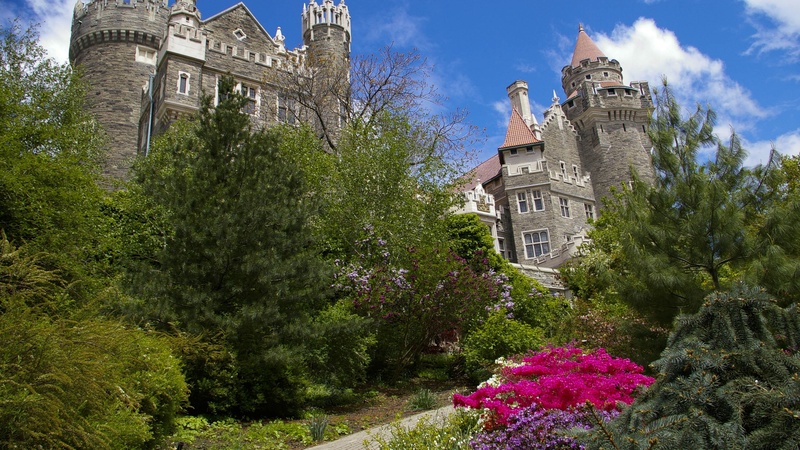 A stroll around Casa Loma's lovely gardens is the ideal way to top off a day viewing the grand yet cozy house. Due to Toronto's arctic winters, Casa Loma's gardens are only open from May til October, but you can still visit the house. There are self-guided tours available in several different languages, as well as guides for the hearing-impaired in English and French. Did you know that Casa Loma has been used as the location for the shooting of many movies, such as "X-Men"? If you want to to create your own fairytale memories of Casa Loma, don't forget you can book weddings and other big events there! Open daily 9:30AM - 5:00PM. Last entry at 4:30PM. Adult general admission: $24.00. Discounted admission for seniors and youth. Self-guided tour through the castle, but additional guides to explain details and surrounding areas are recommended. Go to St. Clair station on the Spadina-University line, and then walk east on St. Clair to Spadina for approximately 15 minutes until you reach the castle. This is one of the attractions covered in the Toronto pass, which includes public transportation to this site free of charge. Just present your pass at the station. There is paid parking on-site, but make sure to check the website for road closures so you can get there quickly and easily. Excellent tour with knowledgeable, well spoken guide. This is an excellent tour. Love the intimacy of a small group. Guide was outstanding and a pleasure to listen to, not to mention patient with our questions. She added delightful details for an engaging portrait of the city. Highly recommend.